Once upon a time there may have been some validity to the legend of the “Dumb Jock” who rarely attended classes and when did was present in courses like Basket Weaving 101, Intro to Bowling, and Finger Painting for freshmen. Jokes like this have been passed around for generations on college campuses and beyond where athletes were rumored to be on campus merely for games and post-game parties. This hypothetical life that seems like a dream come true to many has been long since made extinct by the ever increasing entry requirements for incoming high school student-athletes to qualify to participate in intercollegiate athletics. Furthermore, the NCAA has made stricter requirements to remain able to compete once you arrive on your college campus of choice. The amount of “core” high school courses that a student must complete has recently been raise from 14 to 16 with specific designations on how many per year must be achieved. Also, the correlating GPA for these courses and standardized test score required have risen, making the leap from high school to collegiate athletics much more challenging. If you are organized, intelligent and mature enough to handle all of the rigors of high school academics, all while navigating the obstacles of being a teenager and finding your way through this nightmarish judgmental and social media-driven society, you may get the opportunity to compete at the intercollegiate level. But don’t think the coast is clear and that you are on easy street, because that certainly is not the case. 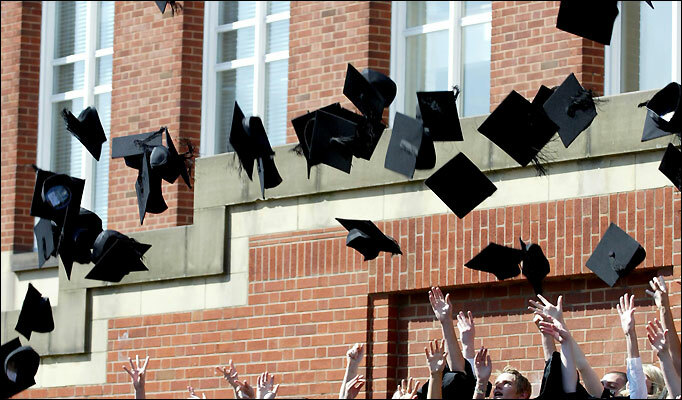 Now, with the new Academic Progress Rate (APR) the standards are tougher and much more detailed to insure that student athletes are making reasonable progress toward their graduation day. A student athlete must pass a minimum of 24 hours per year with no more than 6 of those credit hours earned in the summer. There is a minimum of 6 hours that must be passed during any given semester, disallowing the one-time bombed semester that student athletes were once able to recover from. Also, minimum cumulative GPAs increase each year that the student is enrolled at the university. If this isn’t enough to complicate your mission, there are also guidelines as to what classes can be taken, as you must meet a required percentage of credit hours toward your chosen major, virtually eliminating taking easy elective courses to increase one’s GPA or reach credit hour requirements because courses must count toward your field of study. All in all, the NCAA and its participating institutions have worked together to put a system in place to make sure their student athletes are put in the best possible position to earn their Bachelor’s degree. In fact, with these detailed requirements, at the majority of institutions across the nation it is more difficult to remain in good academic standing as a student athlete than as a student in the general population. Some may view this as unfair, but should be happy that research consistently proves over the past 10 years that student athletes graduate at a higher rate than students who do not participate in collegiate athletics! So don’t worry about your favorite college basketball player’s schedule being too cramped with practices, film sessions, strength training, and of course the big game! Even after arriving home at 3 or 4 a.m. after road trips, you can count on these athletes attending their 8 a.m. classes, as well as tutoring sessions and mandatory study hall. Once you choose to be a student athlete at the collegiate level you are virtually volunteering for two full time jobs; one job as a student and one as an athlete, and each of these require more than 40 hours per week to be successful! This is why I say that collegiate athletes who are fortunate enough to earn scholarship money deserve every penny they get and feel strongly that the legend of the Dumb Jock is nothing more than a myth! This entry was posted in Education and tagged Academic Progress Rate, College athletics, Grade (education), High school, National Collegiate Athletic Association, NCAA, Student athlete. Bookmark the permalink.